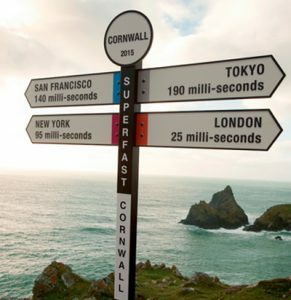 Superfast Cornwall has carried out world leading research into the impact of superfast broadband on the local economy. The pioneering programme has been the catalyst for large-scale economic growth, according to independent research published by SERIO at Plymouth University and Buckman Associates. Current independent evaluation is undertaken by PFA Research. The research involved more than 2000 separate survey responses and is thought to be the UK’s most advanced piece of research into the economic impact of fibre broadband. The Superfast Cornwall longitudinal business survey, undertaken by SERIO (Plymouth University), which captures more detailed information and complements the main evaluation. In conjunction with the Superfast Cornwall evaluation, a programme of research and innovation projects have been undertaken. For more information on this, see the Research & Innovation page.